Normally we know that, Dasara is celebrated for 9 days. 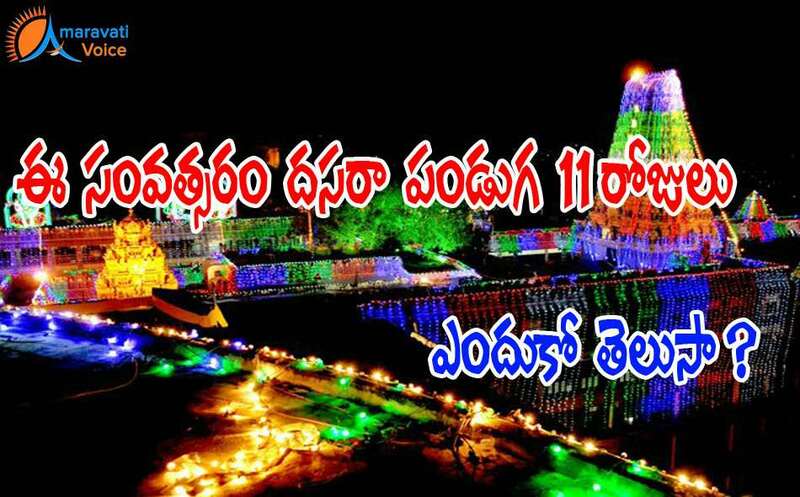 But due to Tithi variation, after three and half decades, this time Dasara festival will be organized for 11 days at Indrakeeladri. The same 11 day festival is organised way back in 1980, also which is the same year incidentally Krishna Pushkaram was held. In the year 1980, Pushkarams were also celebrated for 13 days, instead of 12 days, due to adhika masam. Normally Dasara is celebrated for 9 days, and in some cases 10 days. But after a gap of 35 years, now it is celebrated for 11 days. In 2010, a 10 day festival was organized.